“We are now receiving the traffic from the backdoors on the compromised websites, freeing them from the EITest C&Cs and their visitors from the resulting malicious traffic and injects,” he writes. “Decoding the requests, we were able to obtain a list of compromised domains as well as IP addresses and user agents of the users who had browsed to the compromised servers,” Kafeine writes. 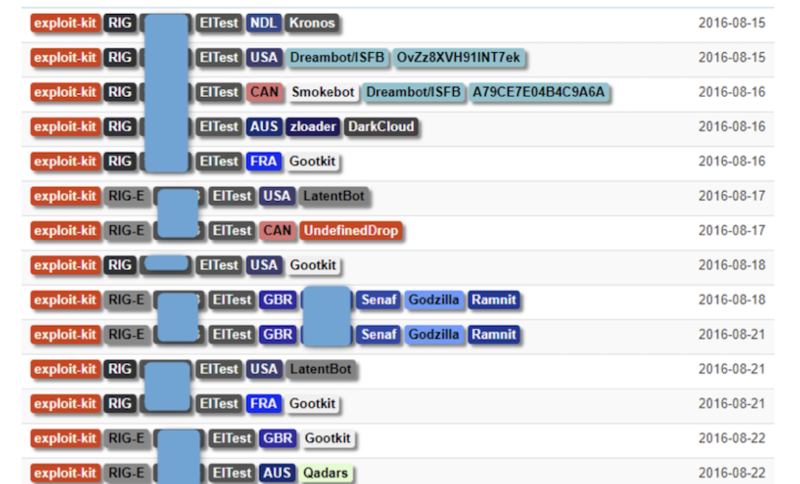 List of countries with infected servers. (Source: Proofpoint). The top affected countries by number of infected legitimate websites ar the U.S., Ukraine, China, France, Ireland, Russia and India. The sinkhole will stop 2 million redirects per day to malicious destinations. In January, brillantit.com wrote that EITest carefully chose its victims. The harmful code is only injected into a legitimate web page after the victim’s user agent, HTTP referrer, HTTP host and IP address is checked. This is an often-used evasion technique that’s used to avoid scrutiny by security researchers. Since the sinkhole took effect, Kafeine writes that those behind EITest haven’t drastically reacted aside from shutting down their command-and-control proxy servers. “Although we witnessed some encoded calls to the sinkhole that embedded commands we would associate with takeover attempts, we cannot verify whether they were initiated by the operator or other researchers or threat actors attempting to interact with the real EITest C&C,” Kafeine writes. As far as the infected legitimate websites, “we are sharing the complete list of compromised websites with national CERTs, and cleanup efforts are ongoing,” he adds.